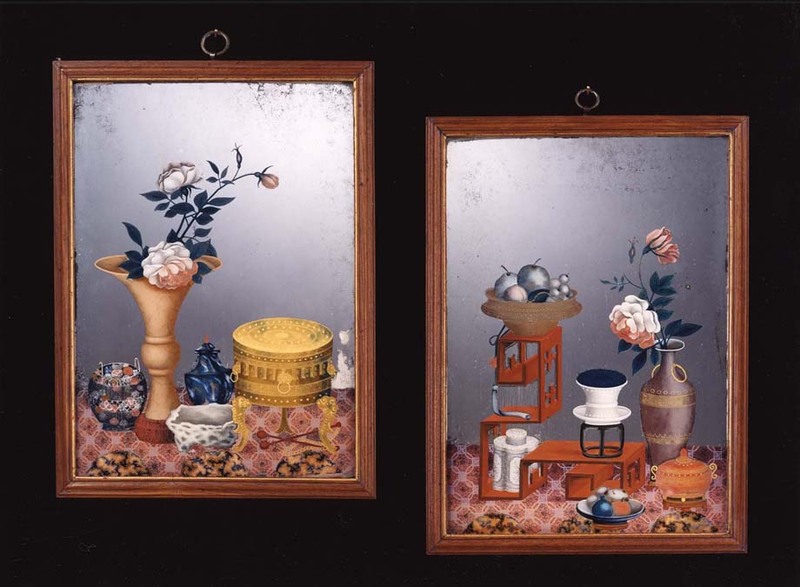 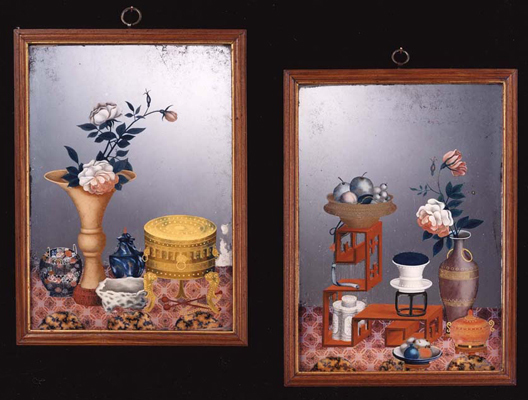 A superb quality pair of Chinese reverse mirror paintings still retaining their original Chinese hard-wood frames. 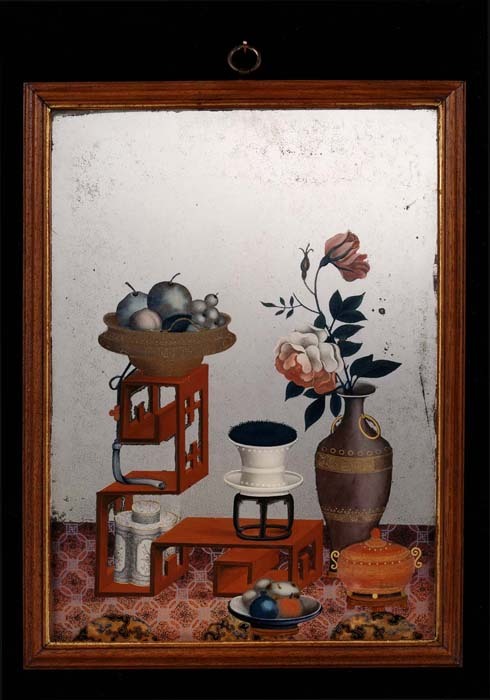 Height with frame 11in (28.5cm). 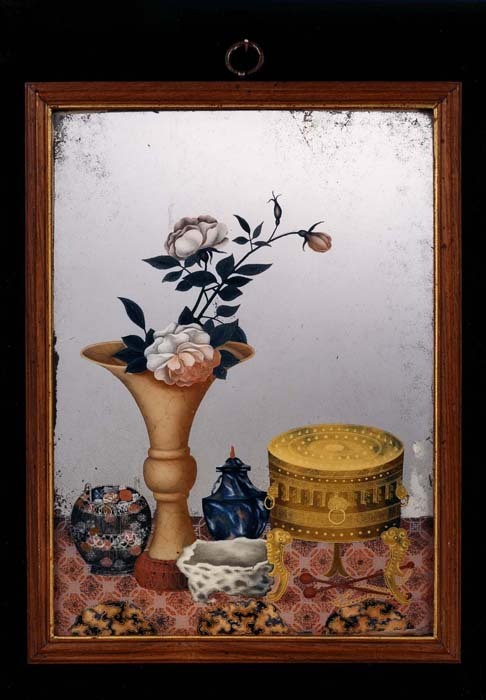 Width with frame 8 1/2in (21.5cm).